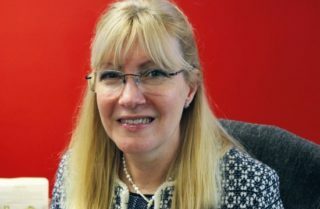 Sue recently left the banking sector after many years as Relationship Director, managing the accounts of large Retail and Wholesale corporate clients in London. This included putting in place both simple and complex financial structures, delivering excellent client service and building strong relationships with clients, colleagues and key business introducers. She thought she may spend her time gardening, (new) puppy training, (continual) teenager training, making macaroons and catching up on quilting projects promised to every new baby in the family. It was not to be. Sue has now joined the TT family and brings with her many years of client sales and business relationship experience. How would you sum up your role at TT in a sentence? Helping a great company recruit more great people. What personal trait do you think you bring to your way of approaching your task? Pragmatism; I do like to consider the facts and alternative options before rushing into things. Usually. The same cannot always be said of some of my shoe purchases. What makes you enthusiastic about this role? Where do I start? The passion and drive of the leadership team, the company is simply best in class, there is a dynamic and truly collaborative culture, exciting growth prospects deem that we need to recruit more excellent talent. What is a volunteering activity you are most proud of? As mentioned above, I am a mad quilter. I made a child’s bed quilt for Childline, as my firm was sponsoring a table at the Childline charity dinner. I had started the quilt originally for my daughter, but as there was an opportunity to donate to the charity auction, I finished the quilt quickly, piecing together 108 squares, appliquéd and embroidered with 108 different pink hearts! It was wonderful to see the auction bids increase and increase, finishing at £500 for the quilt which all went to Childline. I then had to start another for my daughter. I also joined my team last year on the hottest day in June walking 15 miles from our Canary Wharf HQ to our Richmond office to support Family Action, personally raising over £500. I love the 1968 film ‘Buona Sera, Mrs Campbell’, a romantic comedy set in Italy (which apparently was the basis for Mama Mia!) It is lighthearted silly fun, with gorgeous scenery, 60s fashion, a sterling cast and it always makes me smile! What new things have you discovered since working in the translation industry? Many! Whilst I knew the industry covered such things as the translation of legal documents, brochures, websites, annual accounts etc, I was surprised to learn that it also could take on architectural and technical drawings. I also learnt that very few firms can deal with security work in-house such as money laundering, cyber crime, compliance and due diligence (we do) and that we were the first specialist language firm in the world to secure UKAS-ISO27001 data security certification, and provide indemnity insurance, which is not routinely covered in the sector.